When Water Authority crews began dewatering part of the region’s pipeline system for a 10-day shutdown in mid-November, they discovered a leaking valve that threatened to disrupt the time-sensitive operation. 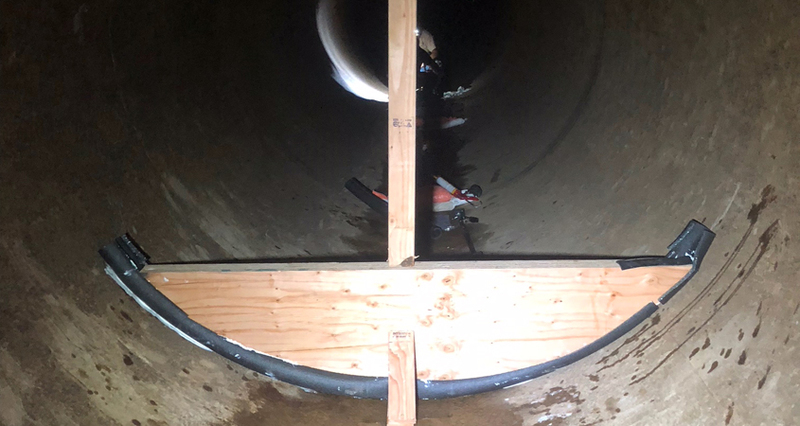 At issue was a six-foot diameter valve in the Second Aqueduct that was designed to isolate a section of pipeline so workers could safely make repairs inside a dry section of the massive pipe. 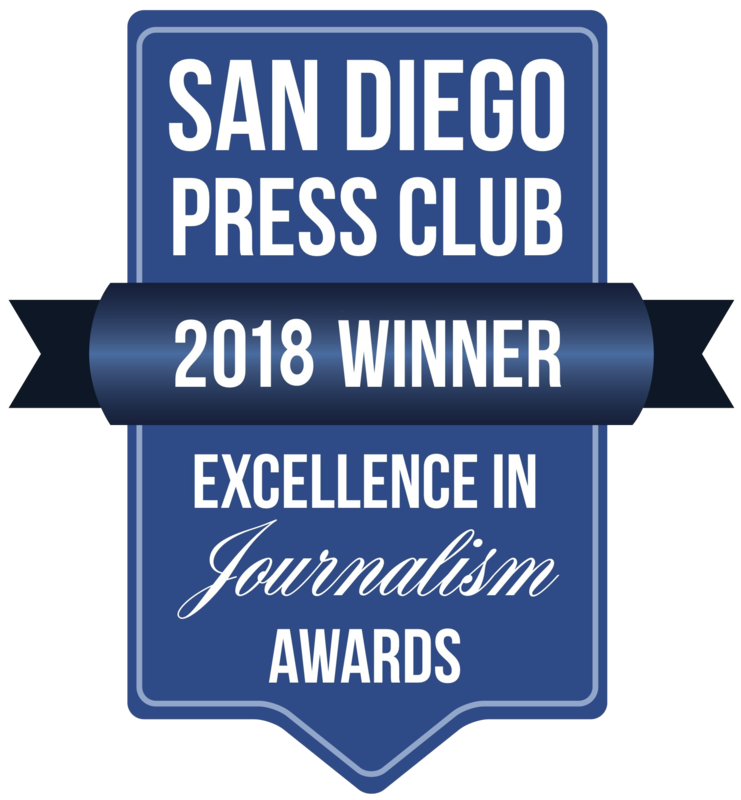 Instead, the valve was seeping water, which made it impossible to start the welding work slated for the relining project in Bonsall and Fallbrook. The leaking valve was installed in 1980 and is at the end of its useful service life. While valve failure wasn’t an immediate threat, staff had to find a quick solution to avoid delays that could have impacted water deliveries to customers. 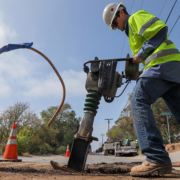 Each winter, the Water Authority coordinates with its 24 member agencies to schedule pipeline shutdowns when water demands are low so crews can conduct routine inspections and make repairs. Timing is always critical to ensure water agencies have adequate supplies while pipes are offline. The leaking valve threatened to disrupt this year’s refurbishing plan, forcing the Operations and Maintenance Department to quickly assess several potential solutions, including using absorbent materials such as rice or oats to soak up excess water. The team quickly settled on a strategy to construct temporary dams inside the pipeline and divert the seepage while repairs were made. First, crews built a dam with 200 sandbags just upstream of the leaking valve, redirecting water into another pipeline and away from the contractor’s workspace. Then, they constructed a secondary wooden dam to collect the trickle of water seeping past the sandbags. 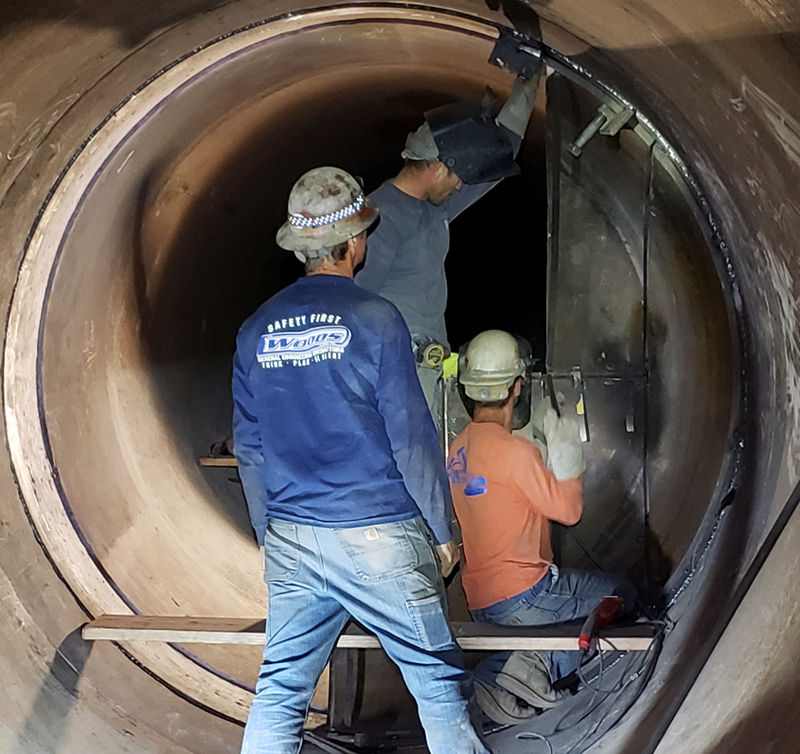 The solution was successfully deployed in less than 48 hours, allowing the welding project to begin on time.